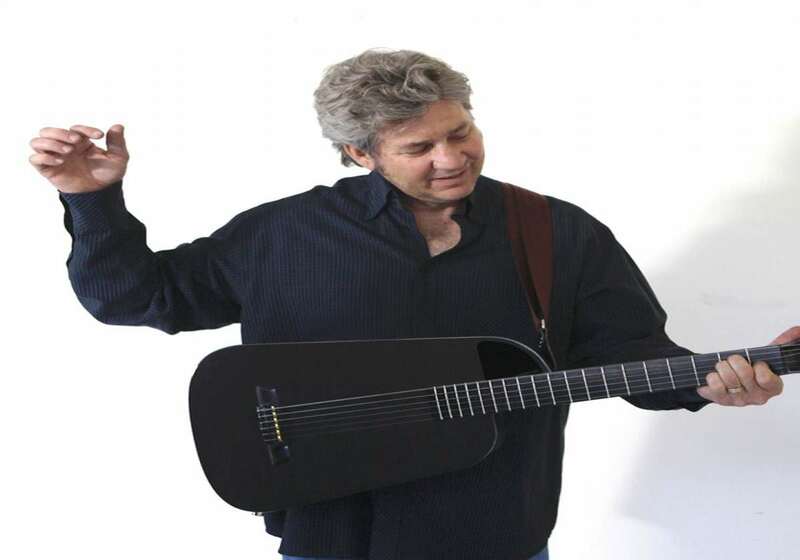 Blackbird's Rider is a showy guitar, but unlike these crazy designs, it's still more about sound than show. 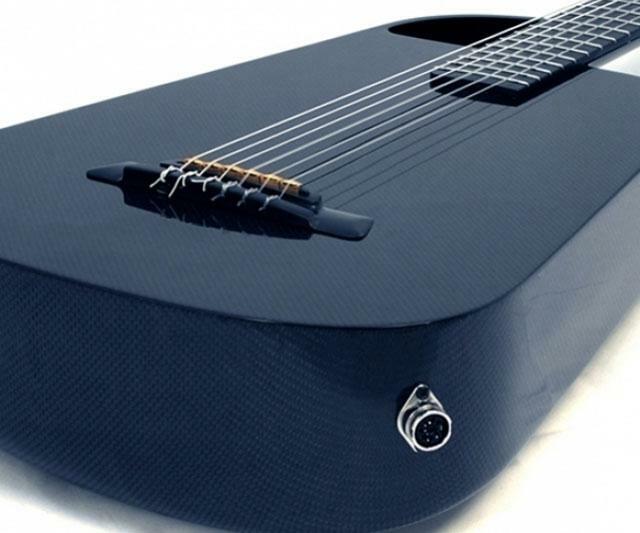 Six nylon strings stretch across a carbon fiber body to create a dark, dramatic instrument true to its maker's name. Blackbird could also make a play to convince the world the Rider is Johnny Cash reincarnated as a guitar. Or what Batman uses to play angsty love songs when he's depressed. Rider's body is constructed from a single piece of carbon fiber. Combined with its hollow head, neck, and body, Rider says the entire guitar will resonate during play to create a soul-filling loudness, bass, and sustain. The high-tech materials also promise to stand up to humidity and common durability tests--bumps, jolts, the occasional tumble--unscathed. 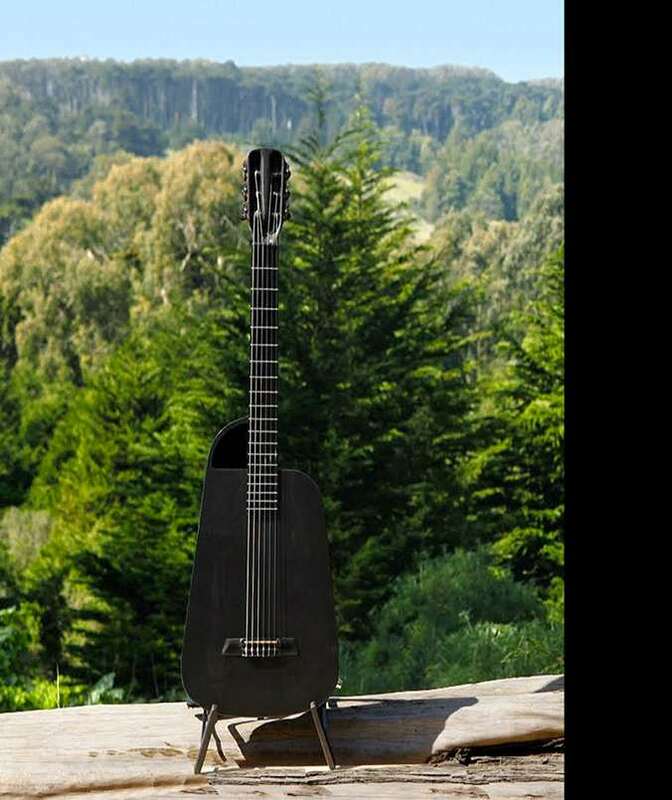 Rider guitars have optional features of a neck-up accessory for anchorage without a footstool, and an MiSi or RMC individual string pickup to amplify the dynamic acoustic tone. Head over the Blackbird website below to learn more about the carbon fiber Rider, plus hear it in action.